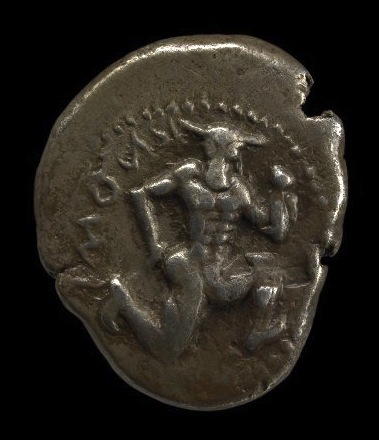 I think my favourite thing I posted to Tumblr this week was this Minoan coin from Knossos. It has a minotaur on it! I thought this article about the dropping of the case against Dominique Strauss Kahn and the differences between the French and US legal systems and legal cultures was interesting. look at those brawny thighs!! All the better to chase you around a labyrinth with. sorry about Twitter call-out. I got the dark humor of it–it just sounded very 1960s to me. Black (possibly, going by name) guy steals something and gets pummeled beyond all logic (broken everything and concussions) and is listed as having “stumbled”, wink wink. Happened all the time in the good ol South. Just hit me wrong way that that woman (whoever she is she’s american!) would not be aware enough to stop short of tweeting “funniest thing”. Yeah, it’s not a story with any heroes. But, when I read it, the way it was written made me laugh. As it happens I didn’t make the race connection when I first read it because, well, I’m not American and I don’t necessarily pick up on names like that unless I’m paying attention. Whether it would have made any difference… who knows. Nice blog you have there. I subscribed to the RSS feed some time ago. Thank you for the kind words on the blog, I appreciate that. I check on your sites as well.